3 Things You Can Do If You Hate Your Job - Motivate Amaze Be GREAT: The Motivation and Inspiration for Self-Improvement you need! In today's world we've got the opportunity to do things that were unthinkable to do in the past. Thanks technology! For instances, chatting in social media or some mobile messenger while doing your job might come to your mind. Is it good? Is it bad? If it makes you unproductive you know the deal right? But, it can also make you reach out to someone with ease while your at work, that's kind of nice isn't it? Any way we aren't here to discuss the ethics behind it. 3 - They just complain about everything that requires them to work. If you find yourself in a similar situation where... you don't like what you do and/or you hate being at work we'll break down the right solution for you in this article. Before going in the solutions find out the reasons why you really hate your job. This is extremely important because those reasons will help you find the best solution for your problem. This is the most obvious one, if you hate your job simply quit and look for another one. You can say that isn't that simple! Why not? the misery you feel inside yourself every day you go to work? If you answer is "yes", you probably can't go this route right away. But if your answer is "no" than you know what you have to do! We know it's not easy and new jobs aren't just around the corner, but you must do it for your own well being. Think about this: if someone hates their job they probably aren't good doing it, this means that sooner or later they'll be fired or they'll never be promoted, is this what you want for your life? Either way by hating your job it's impossible that you make use of your full potential and capability. That's a major blown if you want to be very successful, because those are two indispensable requirements to achieve success. By the way, what's success to you? Just having lots of money? But if you don't feel accomplished inside? Or you even don't have time to see or kids because you are constantly working? Will money by itself make you successful? Don't get us wrong money can help you a great deal, but our definition of success is broader. You need to cover a wider scope of life areas, by hating your job you're missing one of them, and, probably sabotaging several others. If your job makes you miserable daily, your capability of being happy and having a positive attitude towards life will diminish drastically. don't take this matter lightly, make it a real priority! Don't make the mistake to leave your old job for a new one that's just the same but you get a little more money. This will not fix your problem, because you're not addressing the real issue. It's indispensable that you know yourself well, know what you really like and what you're really good doing. Try to combine the two and you'll have the perfect job for you. (1) You might find that job but no open vacancies right away, you can at least start connecting with people who perform that job and eventually submit an application with time. (2) You might not find that job at all, no problem! You can build your own lane by creating your own job! Just keep an open mind and a positive attitude, things will work if you work on them, now let's see other possibilities. Let's say you can't quit your job because you really need the money. Ok no problem! You can start to build your next job by working part time. Yes! If you can't...you don't need to quit your job right away for the unknown, you can bridge the gap between your old job and new job by working part time. Are you saying that I need to go distribute envelops or do a small shift at a fast food restaurant in my free working time and that will change my life? No that's not the part time we're talking about. Forget the traditional part time job notion, you need to start working on something that excites you and you can monetize from. The idea is this: you start to make a few more hours of daily work on something that will become your full time job in the near future. You work part time on something that excites and you can develop really well. See who much can you profit from it in a month, then the next month and so on. Try to grow and expanded it as much as you can. When that happens you can simply quit your regular job with ease ("no more bills to pay reason" for not doing it) and start to work full time on your part time job. Now just imagine, if you get to that point of making the same amount of money part time, what can you do working full time on it? That's the whole beauty of it. 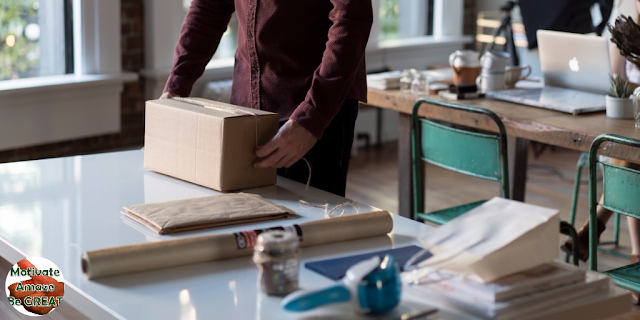 You may ask, this sounds great but what kind of part time jobs are those that can give you that type of extra cash flow with little hours of daily work? Some people start those jobs as an hobby, something they enjoy doing in their free time, like writing, painting, programming, woodworking, etc, next thing you know their hobby becomes a profitable home business. You can also become a freelancer where you do a specific work for companies and get paid independently. Other people go straight to the business side of it and sales is their main focus. Today you can buy and sell anything with ease online and make a profit from it, you can become an affiliate marketeer too where you earn a commission for every sale you make selling someone else's product . You can also go the traditional route, imagine that: you work in a bank and you simply hate it, when you go to the gym late evening you just love it. Maybe you would be a great personal trainer, who knows? Only you can know that, explore your possibilities so you can enjoy your life more. Part time can be the answer for you to start build something new, and when the right time comes, you can change your full time job. At this point you should have lots of strategies and solutions in your bag. The job that you hate probably has it's days numbered. But let's say you didn't find any strategy or solution that fits you, or you simply aren't willing to go through it all. You don't want to quit your job and/or work part time. In that case the best thing to do is to accept what you have and try to make the best you can with it. Instead of changing job you need to change the way you look at your current job. Change the way you look and the things you see will change. You can be fortunate enough that the only change you needed to do was to change yourself. If that is the case and you can be happy about you got really lucky! Despite fortunate or not, you need to work on yourself in either case. What you hate most at your job? Is it the tasks? Is it the staff? Is it the shifts? Is it the environment? Name it so you can address it and create strategies to overcome it. You can make your job funnier that it is by changing the way you look at it but also the way you do your daily tasks. As I mentioned at the intro, I was tired of hearing my friends complaining and whining about their job on a daily basis, that's what got me to write this article. I want people to be clear about this, no one pointed a gun to their head and obligated them to work there, they decided at one point to be there and signed a contract. In essence, the majority of us made a conscious decision about our working place. So either you settle for your decision stop complaining and whining, or you change that situation because you have the power to do it! Don't be mistaken about it. There are always solutions for it, but you need to be willing to take the necessary steps to change that situation. Either change job, work part time for a while or change your whole approach to your job. If you're not happy with what you do you need to address it! It's your life your decisions, never forget that! 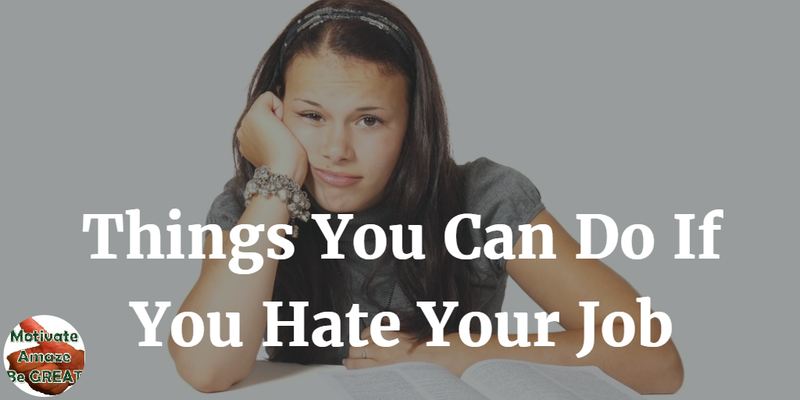 this suggestions you can do if you hate your job.